I may not be a grammar Nazi. To be honest, I’m still learning and try to improve my English proficiency. But I certainly know (as most of you are) the difference between ‘NOT USING’ and ‘NO LONGER USING’. I wrote in my Facebook two days before about SIA’s ‘insensitive posting’. Not only it was deemed insensitive given the lack of initial condolence, but it looks like they try to deceive the public as if they never used the route that took away the live of 298 innocent people on MH17. SIA’s deceiving post on FB. Correct me if I’m wrong, but the correct sentence should be ARE NO LONGER USING not NOT USING. After all, the fact is, they were there on 17th July 2014. 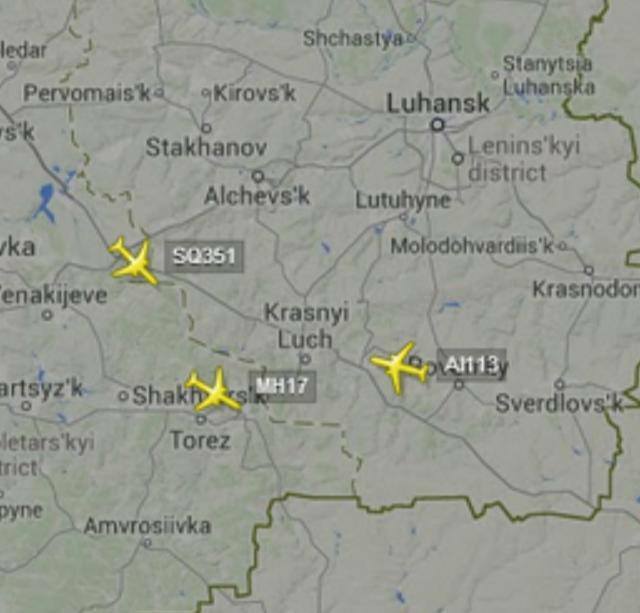 Just 25km away from MH17. 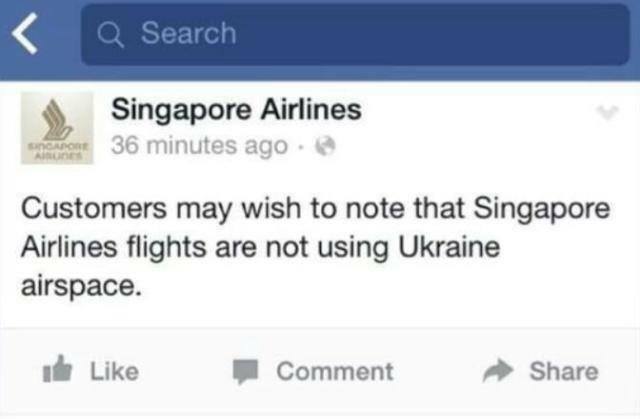 You may want to read Why I Won’t Fly With Singapore Airlines Ever Again by Rocky’s Bru.